There are many door companies serving the Pensacola, Florida, area, but none of them will offer the level of individualized service and top-quality products like Majors Home Improvement. We have been helping homeowners beautify their homes with entry and patio doors since 1997, and have earned an A+ rating with the Better Business Bureau, a five-star rating with GuildQuality, and numerous industry awards due to our commitment to our customers. One of the benefits of choosing Majors for a door installation is the fact that you’ll receive Red Carpet service from our team. This means that we will bend over backwards to make sure you’re completely satisfied with our service and that you are never left in the dark about the status of your project. It also means that we will leave your home clean once we have installed your entry door, which is a level of service you just won’t see with other door companies. 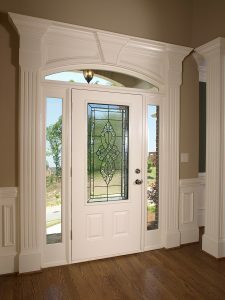 If you’re ready for a new entry door at your home in the Pensacola, FL, area, contact one of the top door companies around – Majors Home Improvement. We’ll be pleased to schedule a complimentary consultation at your convenience.